Microsoft has unwound its Spot wristwatch offering - the special timepieces used to pick up news, weather updates and other information sent out over FM radio. Late last week, Jon Canan, the MS executive in charge of Spot, told readers of the SpotStop.com fan site that Swatch's Spot watches have now "sold out" and "are no longer for sale". They'll stay that way, he said. "We, along with our watch partners, do not have immediate plans to create a new version of the smart watch." Spot - which stands for 'Smart Personal Object Technology' - was launched in January 2003, though watches didn't go on sale until the following year. The watches tuned into a service called MSN Direct, which broadcast news, weather, stocks, film times, horoscopes and other time-sensitive data over FM frequencies to be picked up and displayed by the watches. Some information came free, other channels require a monthly subscription. Of course, with mobile phone internet access now well established, it's easy enough to get such information on your handset - and view it on a rather better, larger screen than those the Spot watches were equipped with. As such, Spot has effectively been rendered redundant. Canan did at least confirm that MSN Direct isn't itself being wound down - Microsoft will continue to send out signals to existing Spot owners. But don't expect the company to make any big investments in the technology from now on. MSN Direct has also been pitched at phones, GPS units and other gadgets besides watches, and Canan said Microsoft would become the focus for the service. 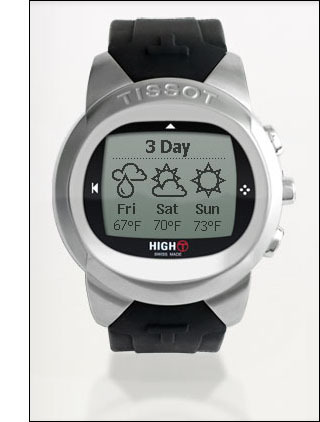 In its time, MSN Direct attracted Spot-compatible watches from the likes of Swatch, Suunto, Fossil, Citizen and Tissot. Of late, the only Spot watches available have come from Abacus.